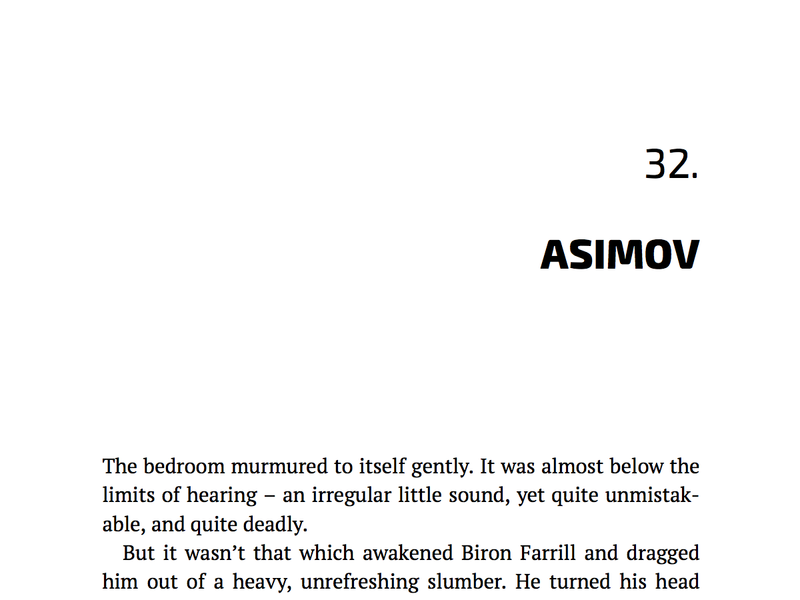 Named for Isaac Asimov, this is a theme for sci-fi, but will work for thrillers, literary fiction, YA, and a few others, I'm sure. Title fonts are Exo2 by Natanael Gama. Body font is PT Serif by ParaType.